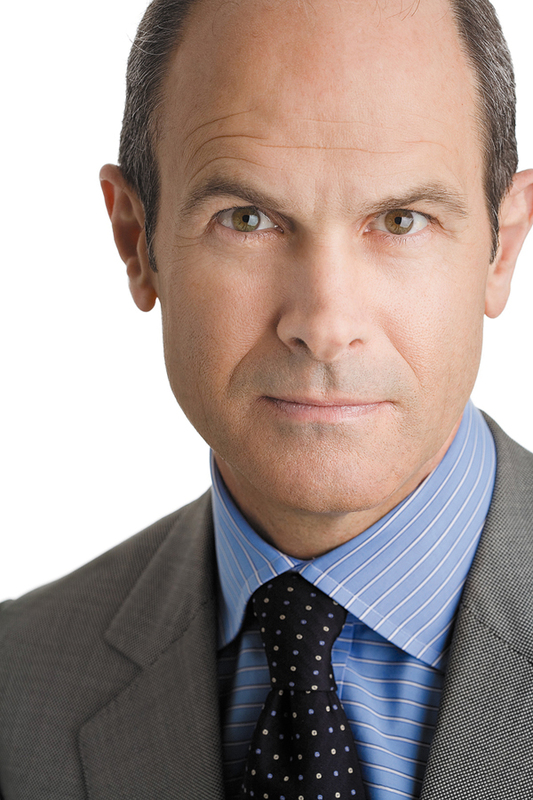 CLAREMONT, Calif. — I really miss John Scolinos. He was possibly the greatest human being ever involved in college baseball and passed away at the age of 91 in 2009. 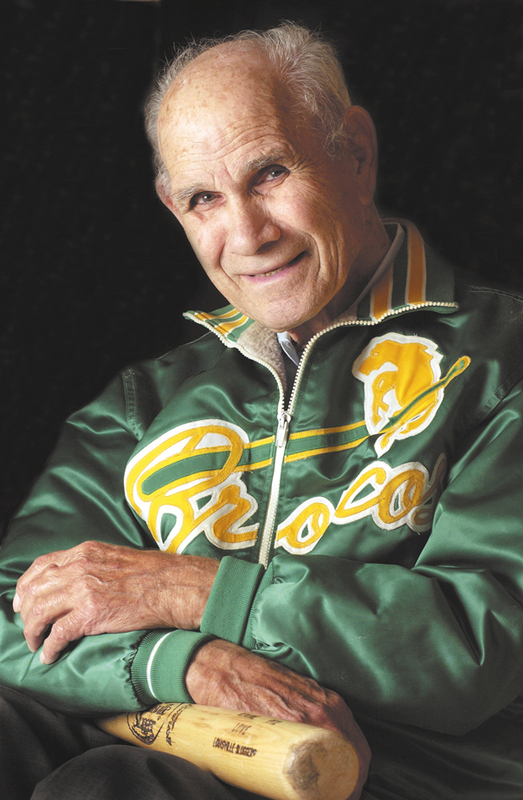 He led Cal Poly Pomona to three national championships (1976, 1980 and 1983) in 30 years and retired in 1991 as the winningest coach in NCAA Division II history. Scolinos was named NCAA Division II Coach of the Century by Collegiate Baseball for not only his coaching ability but the influence he had on thousands of baseball coaches across the nation and athletes who played for him. 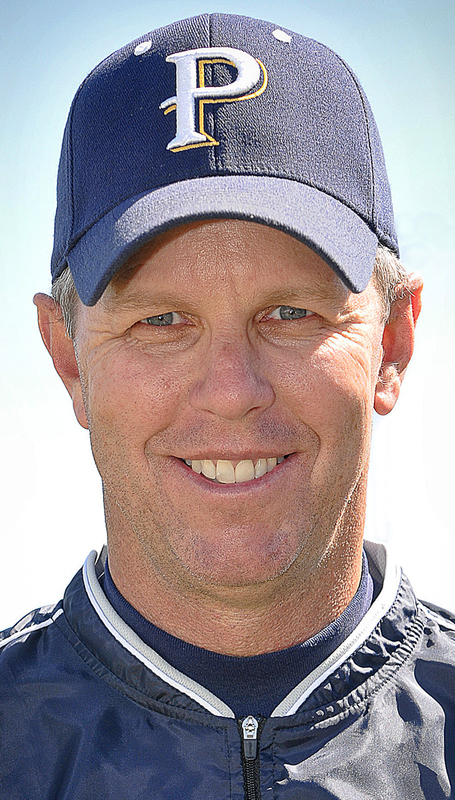 Prior to becoming Pomona’s head coach, he spent 14 seasons at Pepperdine University where his teams went 376-213. His all-time record in 44 years of coaching was 1,198-949. Scolinos’ overall record is highly misleading since his teams always played the best teams in Southern California and Arizona, including all the top NCAA Division I teams. This giant in the profession influenced more coaches than possibly any skipper has in the history of the game with the way he broke down the game during clinic sessions — often in front of standing room only crowds at American Baseball Coaches Association conventions with audiences approaching 4,000. And after almost every presentation, he would be given a standing ovation from the crowd. Here are some of those priceless lessons coaches learned from Scolinos through the years that Collegiate Baseball has collected. “On days when nothing goes right, I call them ‘jock games,’ ” said Scolinos. “That’s when all the defense does is throw their jocks out there, the hitters get faked out of their jocks, and the pitchers get their jocks knocked off. Possibly the greatest moment I have of Coach Scolinos was as at the 1990 American Baseball Coaches Association Convention in New Orleans where he gave a clinic in front of thousands of coaches discussing the finer points of hitting. He sternly told coaches in attendance they should never allow players to have their heads in their jocks. To demonstrate the point, he quickly pulled a jock strap over his forehead. Every coach in attendance howled with laughter. But Coach Scolinos made his point. This legendary skipper has always been a fascinating person to study at baseball clinics. Most coaches over the age of 50 have a set system for teaching all aspects of baseball and rarely change. But every clinic I ever saw Coach Scolinos at, he was always sitting in the first row gleaning information from hundreds of clinicians over the years. Even at the age of 72 during the 1990 convention in New Orleans, he was learning from others in the game. Years ago, I interviewed former Cal. Poly Pomona assistant coach Steve Osaki who explained in detail Scolinos’ other legendary clinic sessions. “At clinics, he was well known for giving his talk on handshakes to demonstrate fielding mistakes,” said Osaki. “The first one was the halitosis handshake. Coach Scolinos and another coach would each shake hands but turn their heads away to demonstrate how a fielder turns his head away from the ball. The next one was the political handshake. Coach Scolinos would walk up to another coach on stage and extend his hand. “Just prior to a handshake taking place between the two, Coach Scolinos would slip his hand back and flip his glove. “Then comes the Japanese handshake. Two people walk up and bow to each other signifying the player who lets the ball roll through his legs. 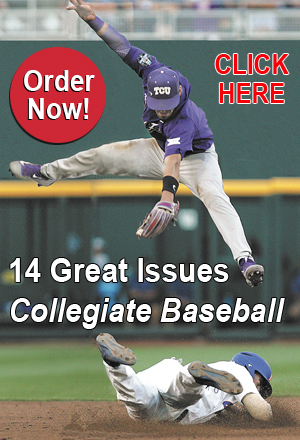 To read more of this story, purchase the May 17, 2013 edition of Collegiate Baseball or subscribe by CLICKING HERE. LAFAYETTE, La. 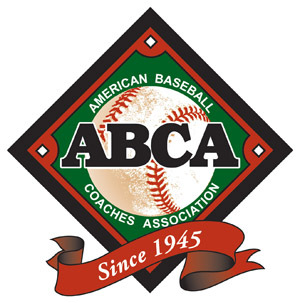 — One of the greatest pitching coaches in the game is Tony Robichaux, head baseball coach at the University of Louisiana-Lafayette. Under this marvelous teacher (1,037-669-1 record in 29 seasons as a college head coach) his pitching staffs have finished first or second in the Sun Belt Conference 13 of the past 16 years in fewest walks per game. In addition, his staffs have led the Sun Belt Conference in lowest ERA 11 of the last 16 seasons. Another amazing stat is that seven former players are now NCAA Division I coaches. Entering last season, he faced a massive rebuilding job with his pitching staff as his Friday, Saturday and Sunday starters were all true freshmen. If that wasn’t enough, his closer was a true freshman as well. They struggled through the first half of the season and then were outstanding the rest of the way. His pitching system is all encompassing. Every fall pitchers spend 20-25 hours in the classroom learning how to get batters out, how to manage games when everything is hitting the fan and how to develop 10 different pitches which destroy the timing of hitters. “When pitchers first come in our program, we don’t worry too much about mechanics,” said Robichaux. “First, we want to work on them mentally. We believe that the muscle in between the ears is the most important in the pitching system. “Our pitchers and catchers spend 20-25 hours in the classroom with us, and pitchers don’t shag balls in the outfield in practice during the fall. They are in the classroom. We not only want to recruit high end pitchers. But once they get in school, they must learn the art and science of pitching. It is absolutely vital. Robichaux was asked what topics are covered in his pitching classes. “One big thing we cover is how to manage a baseball game. All great pitchers are able to manage games when things go south. If you watch a baseball game, two things typically happen. One team scores more runs in one inning than the other team has scored throughout the ball game. The second thing is that the winning team has put together 3 or more runs in one inning. “We break the game down into three mini games. Innings 1-3 is game one, innings 4-6 is game two and innings 7-9 is game three. You have to win two out of three of those games. If you do, most of the time you will win. That is where game management comes in. For instance, if a batter hits a leadoff triple against one of our pitchers, we’d love to stop him from scoring, but the odds are with no outs, he will get in. “So instead of trying to stop him from scoring, we will trade the run for an out in that situation to clear the bases. Then we stay away from the 3-run inning. Our whole teach is to stay away from the 3-run inning. If we can do that, then our team will be in the ball game. Robichaux said another chapter his pitchers work on in class is how a hitter hits. To read more of this in-depth article on Tony Robichaux’s incredible pitching system, purchase the Oct. 2, 2015 edition of Collegiate Baseball by CLICKING HERE. Coach Robichaux delves into why it is vital to teach pitchers how hitters hit, the value of linear path pitches that Greg Maddux exploited during his Hall of Fame career, the process of calling games, studying hitters, why the colored plate with lanes is a vital tool, what great pitchers do, why every pitcher should develop 10 different pitches, utilizing string strike zones, plastic batters, formulating a velocity improvement plan, competitive bullpens, long distance running, charting pitches and more. PLANO, Tex. — Mike Maack is considered the greatest teacher of the lefthanded first base pickoff move in the history of baseball. He was a southpaw pitcher in the Minnesota Twins’ minor system (rookie league through AA) in the early 1980s and picked off 90 runners at first base in three seasons prior to being injured. His highest pickoff total in one game was five during a professional game and five in another contest when he pitched for Tulane. 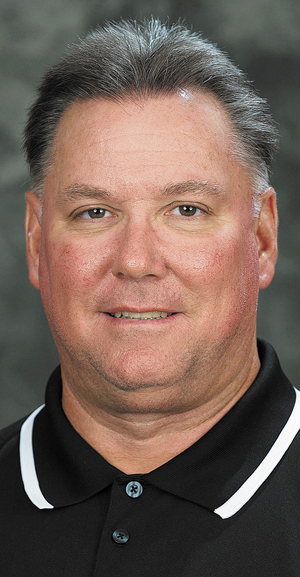 Maack was previously the pitching coach at the University of Central Florida as his pitching staff picked off 287 over five seasons at first base. That is over 50 pickoffs a year at first base which has undoubtedly never been done before or after in the history of college baseball. Maack said the lefthanded pickoff move he teaches at first base also works extremely well with righthanders at third base. In part one of this series, Maack explained all the mechanics involved in having a great pickoff move. In part two, he delves into drills he utilizes to teach The Move for lefthanded pitchers on pickoffs to first and righthanders to third and how they can be integrated into 10 minutes of work during all practices. In addition, Maack explains in detail the timing of the righthanded pickoff move at third base and how 24 runners were picked at third by Miami-Dade South Junior College pitchers one season, including four in one game. 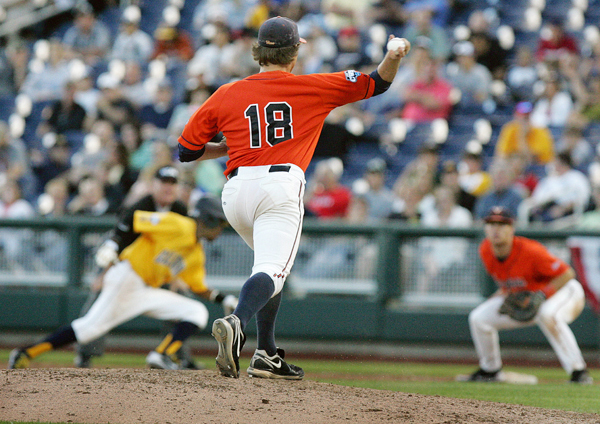 Maack’s drills are designed to break down the delivery into segments so that pitchers feel the proper body movements. The goal of each pitcher is to throw five in each drill perfectly. When they do that, they are done. Maack said once pitchers get a feel for The Move, they can eliminate some of the basic early drills such as the Chair Drill, Standup Drill and Standup 45 Drill because they already have the mechanics down. They now refine their move with the other drills every day in practice. From that point forward, they work on their leg lift and being balanced. “If a guy has a timing issue, then we can go back to the first four drills if we need to,” said Maack. 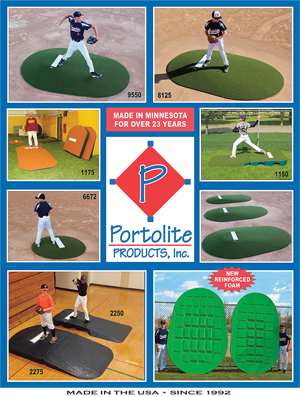 “Once the kid has developed the pickoff move, you can eliminate the first 3-4 drills. I like doing the Step 45 drill because that is a great one to continue working on, especially for a lefty who has incorporated a slide step in his delivery. He can slide step at a 45 degree angle and pick a guy off as part of his practice routine. “That can be another pickoff move for him. But with that being said, I don’t normally teach lefties the slide step because it pretty much tells the runner he is in control. So I try to teach all lefties to go with the leg lift. But some lefties I have had over the years are quick to the plate, and they have the slide step down. And they have the leg lift as well. Maack explained his unique drill sequence. “We usually do this first drill along the foul line in left field with lefties sitting in chairs along the line facing left field. The foul line toward third base simulates where home plate will be. Their partners are about 15 feet away toward left field (90 degrees from the foul line) in the direction where first base would be. Lefties start off with their glove hand going toward home and their head to home. Then they throw the ball to their partner simulating the throw to first base. “You want to teach pitchers how to throw to first base without looking at first base. You are actually looking home when you are throwing to first base. “At first, lefties will throw it way left of his partner. We are taught to reach and step where we will throw. Now to unteach that and teach them to reach one direction with their glove and throw another way takes repetition to get a feel of throwing almost behind them. “That drill takes out the lower part of the body. You are focusing in on the glove hand side, head and throwing side. Your throwing hand is one zone and your head and glove hand are another zone. But the first drill is basically your chair drill. And you are working on the tempo of your head and glove hand working together and throwing hand tossing the ball to your partner. “There are two different directions. Your head and glove hand are going down the line to home. And your throwing hand is throwing the ball to first base, obviously. As you advance with this drill, and others, you work on three different head looks. To read more of this story, purchase the Jan. 1, 2016 edition of Collegiate Baseball by CLICKING HERE. 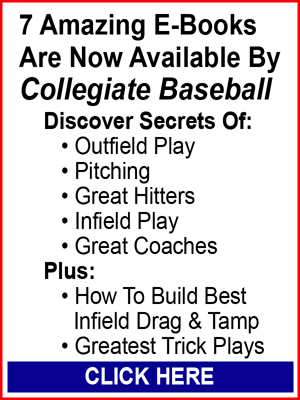 Part 1 of this 2-part series appeared in the Oct. 2, 2015 issue of Collegiate Baseball which is available to purchase as well.